In 2015, two successful online shopping and loyalty apps ‘Posse’ and ‘Beat the Q’ joined forces to launch a new app that would give users an enjoyable and time-efficient consumer experience at local restaurants and cafés. Our challenge was to build brand awareness and app downloads through the naming, branding and front-end design. The app puts customers and retailers on first name terms and fosters more meaningful personal interactions between them. We encapsulated these benefits in the name “Hey You” and a user experience that sees the “You” substituted for the user’s name. 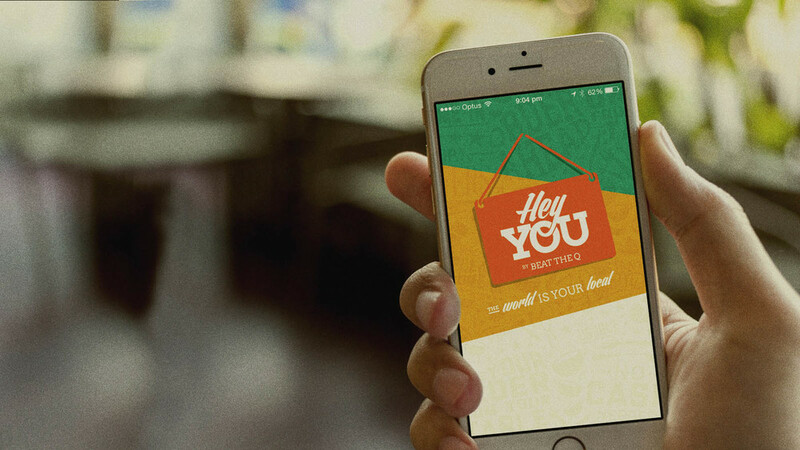 Hey You is, in effect, not just a personalised app, but a personalised brand.